Youth education in grooming and stable management, riding and groundwork. Services in human growth and development to serve wide ranging audiences for educational purposes such as: leadership training, team building, and other human capacity enhancement skills for the workplace and daily use through equine interactions. Trotting Horse is close to Missoula out on the beautiful Big Flat. We offer a relaxed environment to enjoy your horse in the way you choose. We have an indoor arena and a large outdoor arena, round pen, wash bay with hot and cold water, shared tack storage as well as individual storage. Our pastures are irrigated, each offering automatic waterers and loafing sheds. Our hay is grown on the property and fed twice daily. through the winter. Owner/manager on-site. These donations help keep the lights on and the horses healthy. 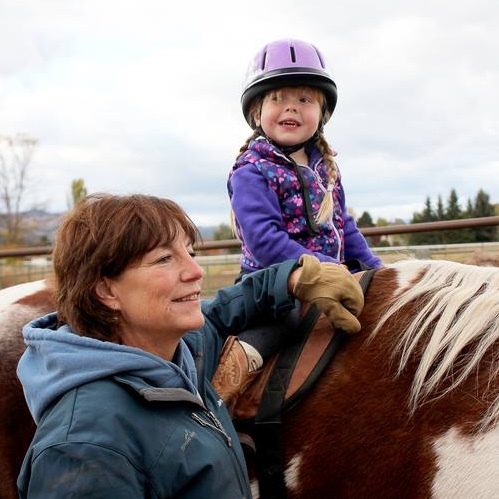 THTR relies on this support to underwrite financial aid to riders, purchase new or special equipment, horse supplies, staff salaries and routine maintenance to ensure safe, effective, and quality horse-related programs. 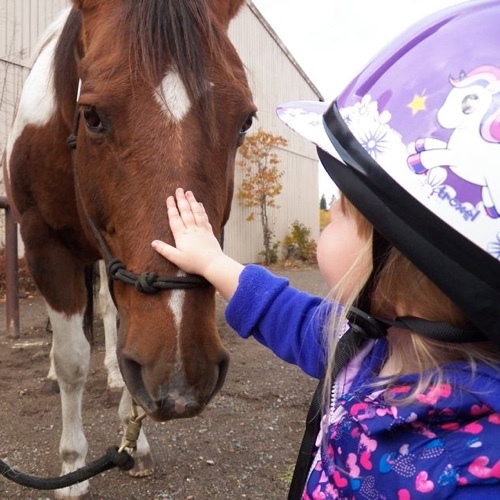 Trotting Horse Therapeutic horses are an integral part of the program and a majority of our horses are donated. Please consider THTR’s ”Adopt-A-Horse” program to help manage our annual horse expenses. THTR welcomes all kinds of goods and services. Please complete the contact form, or contact Cyndi directly if you have an idea for helping. People with just a few hours a week available; your schedule is our schedule!